If you have loose, saggy skin on your upper thighs or lower buttocks, you’re not alone. And you’re not without help – our surgeons offer thigh lifts for Orange County residents. Excess skin on the thighs is often created after significant weight loss. After the fat melts away, many areas of the body can be left with excessive amounts of skin, causing discomfort in clothing and a poor self-image. For those struggling with the look of their legs in Orange County, thigh lift plastic surgery can tighten sagging or wrinkled skin and create smoother, more youthful-looking thighs. At CosmetiCare, our plastic surgery specialists understand that achieving the look you want can help you live the life you want. Learn more when you request a consultation with one of our surgeons. A thigh lift can remove skin that has lost elasticity and improve the overall appearance of the inner or outer thigh area. 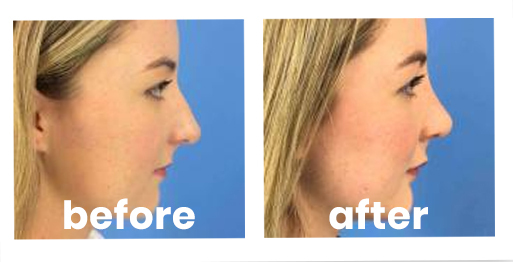 The procedure is performed under general anesthesia and usually takes about two hours. An incision is made in the groin area beneath the bikini line and some of the thigh skin is removed. Then tissue below the incision area is loosened and after the skin is pulled up and tightened, the incision is closed with sutures. Deep stitches are also used to secure the skin below and prevent sagging as the incisions heal. Drains are placed inside the incision site to help collect excess residual fluid that can build up after surgery. Drains are usually removed after just a few days. People who have a saggy, loose appearance and poor elasticity to thigh skin as a result of age or genetics. Women and men who have loose skin on their thighs following weight loss. These women may also qualify for other procedures, such as a tummy tuck. Immediately following surgery, you will be placed in a compression garment, similar to a tight girdle, to reduce swelling and help with tightening of thigh skin. Patients will experience some discomfort which can be controlled with prescription pain medication. You will have some swelling and bruising that should subside within one month. You will be able to move around within a few days following surgery. Most patients will be able to return to work within two weeks. Sutures will typically be taken out within a week to ten days. Minimal, light activities can be performed after about two weeks. More strenuous activities can resume within after six weeks. After four to six months most all of your postoperative symptoms should be gone. Even though you’ll probably have some amount of swelling, the results of your surgery should be immediately noticeable. A thigh lift will create visible scars that may fade over time. Most patients feel that the results of their surgery far outweigh any scars, and a thigh lift can restore confidence by re-creating a more youthful appearance. Request a consultation or call us at 949-718-6900 to schedule your appointment. With convenient locations in Long Beach and Newport Beach, CosmetiCare makes it easy to love the way you look!